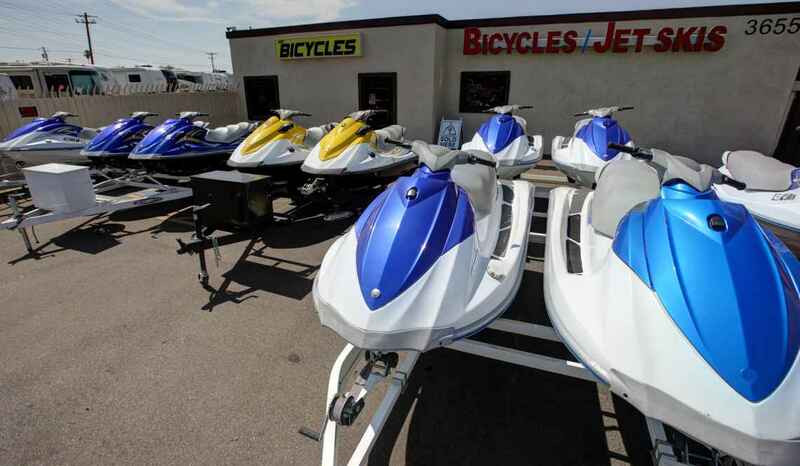 ABC Bicycle and Jet Ski Rentals of Mesa, Arizona offers jet ski rentals for Mesa and the surrounding areas. We are located in Mesa, Arizona, just 25 minutes from Saguaro Lake and Canyon Lake is only about 40 minutes away. Many of our customers also enjoy Jet Skiing on close by Apache and Roosevelt Lakes. Our personal watercraft are a thrill seekers dream. We feature the awesome Yamaha VX110 at unbeatable prices and since all our staff are water sports enthusiasts we know what’s needed to make your day on the water perfect! We rent Yamaha VX110 three seater jet skis with trailer, gas cans and every rider is outfitted with a proper sized life vest. 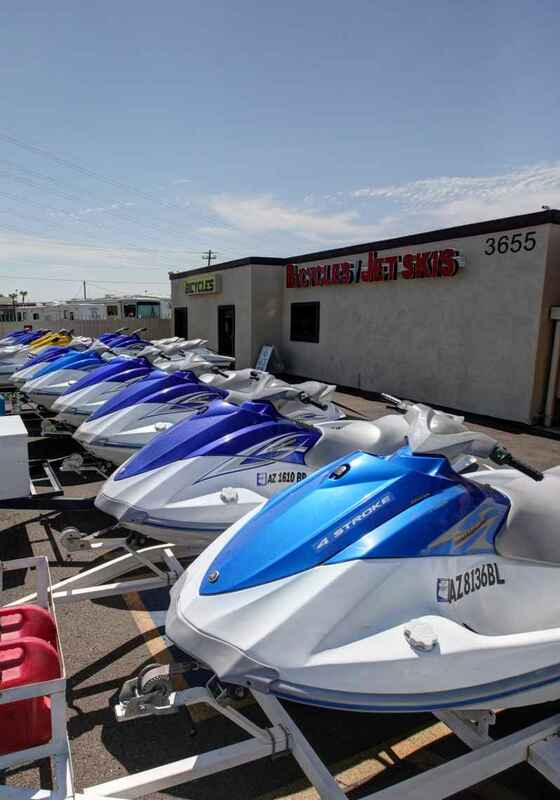 We give you an easy to understand training session on the safe use and proper operation of our jet skis, as well as familiarizing you with all the applicable Arizona and Federal boating rules and regulations. Our Jet Ski technicians have the ability to properly diagnose and repair your personal watercraft quickly. 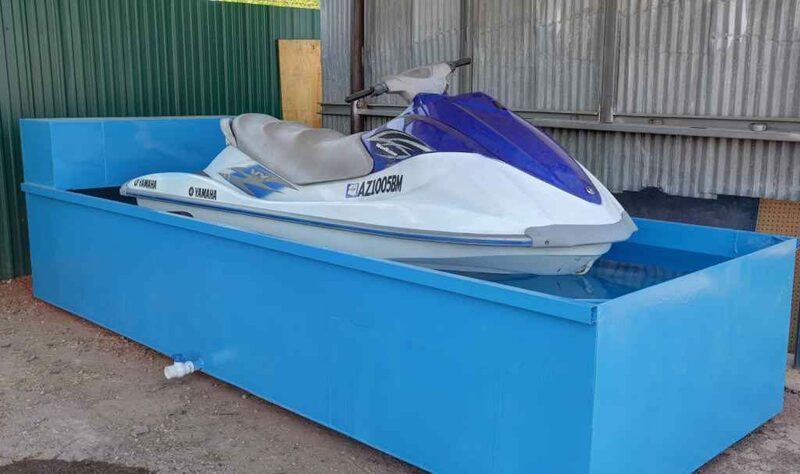 At ABC Jet Ski Rental facility, we have a full size testing water tank and service bay area to fix your jet ski in house. Our technician are well trained with years of experience. Your jet ski is in our good hands.